After her digital download success in Britain, Rihanna moves further east – in Japan, she’ll be teaming up with screaming metal alt band Linkin Park… All for a good cause too! Live Earth, whose planners include former US vice president Al Gore, entails 24 hours of concerts across seven continents on July 7. 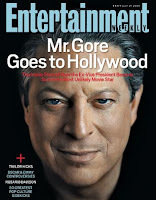 “Live Earth will engage individuals, corporations and governments to take action against the climate crisis,” Gore said in a statement released here. Japan will be the only country with two events. The main stage will be in suburban Tokyo, with a concert also planned at a Buddhist temple in the ancient capital of Kyoto, namesake of the landmark environmental treaty.